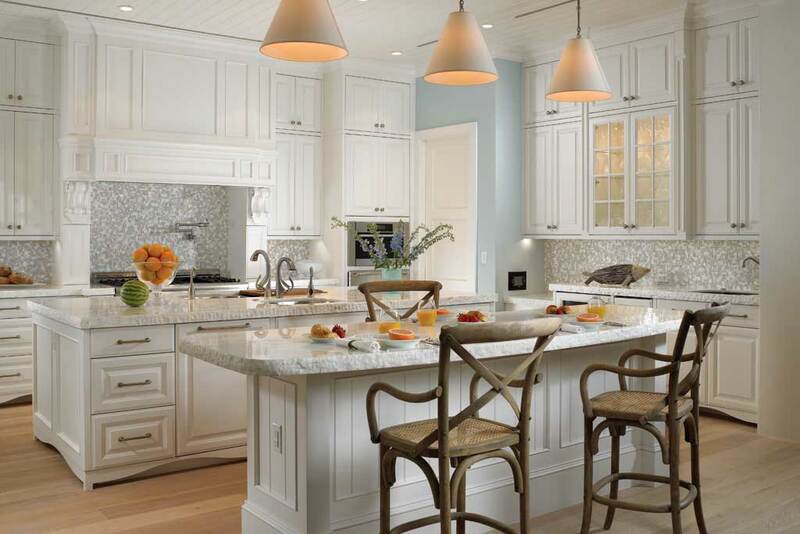 Interior Architect: Rob Atkins Architecture Inc.
A quiet, sophisticated seaside village, Vero Beach’s charm is enhanced by pristine beaches, fine dining, arts, theatre, upscale boutiques, award-winning golf courses, water sports, fishing, and abundant activities for nature lovers. 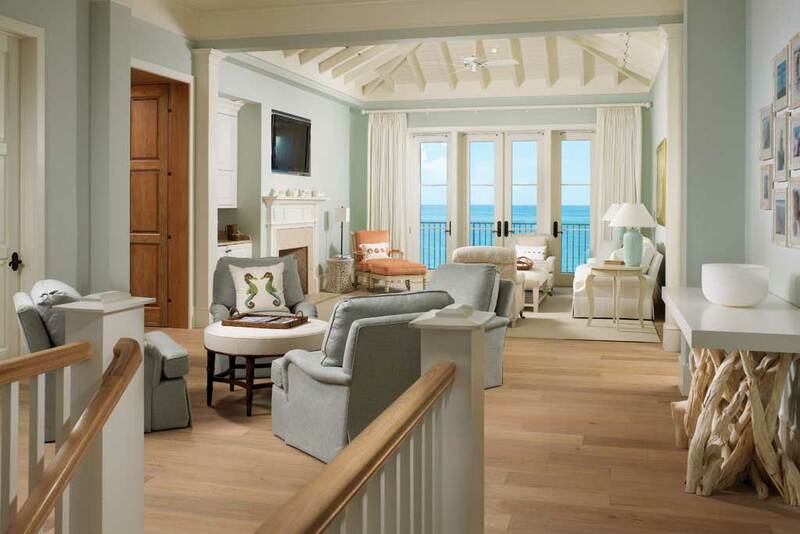 It’s no wonder that our Orlando-based client selected this location to build their oceanfront vacation home designed to accommodate three generations of their family. 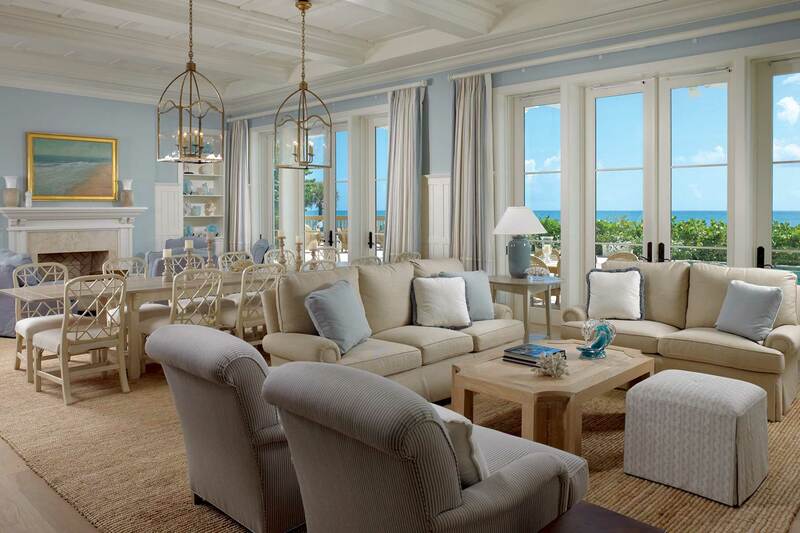 The Spectrum team took on the challenge of designing the sophisticated coastal-inspired interiors of their home, keeping in mind the demands of vacationing at the beach with family and friends. 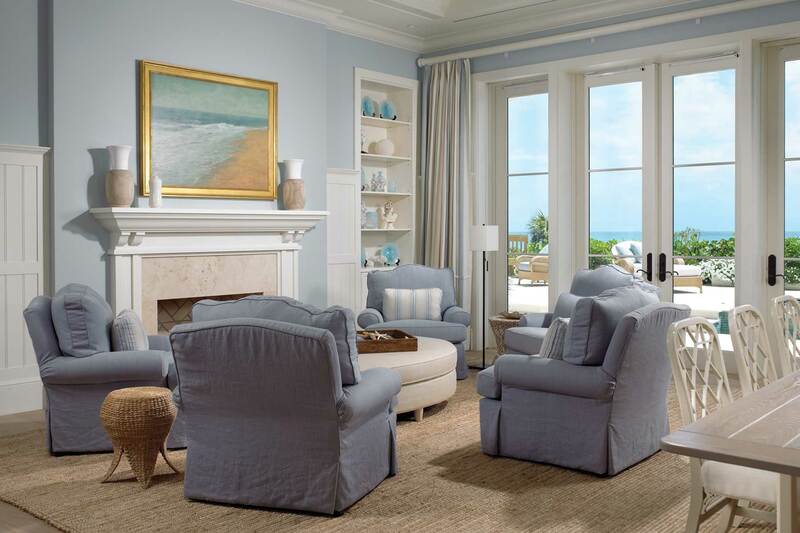 Fabrics were selected to hold up to indoor-outdoor living and furniture groupings were designed for ultimate flexibility to serve multiple purposes in an open floor plan that takes advantage of expansive ocean vistas. A light, bright coastal kitchen with separate prep and dining islands provides ample space for large family gatherings. 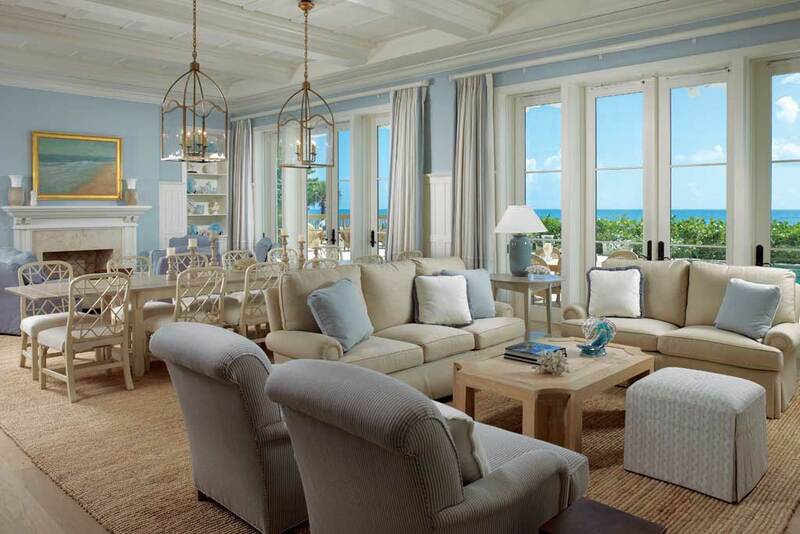 Taking advantage of the home’s unique location, the second floor family room—dubbed the sunrise, sunset room—offers both east and west facing views and coastal casual furnishings. Oceanfront views take center stage in the second story study that features exquisite millwork, a large walk-out balcony and a cozy sitting room finished in a neutral palette to complement aqua-blue vistas. 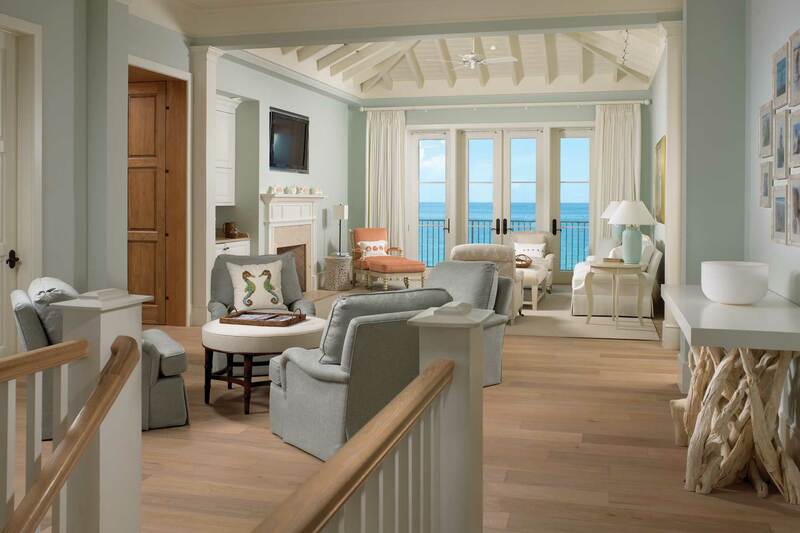 A similar color palette is repeated in the serene master suite, which also offers spectacular ocean views from a southern, four-poster bed and cozy sitting area.